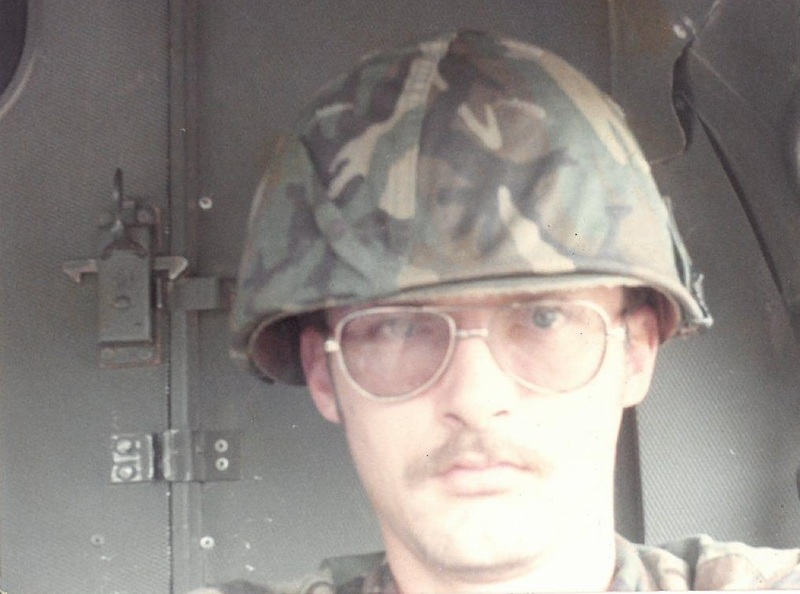 SamTrans Recognizes Veterans: Richard Bailey – Peninsula Moves! Richard Bailey joined the NAVY in 1974 and served as a corpsman on helicopters that brought wounded soldiers out of the jungles of Vietnam. Richard Bailey knows something about reinventing himself. The U.S. Navy veteran has been a hospital corpsman, a welder for an air defense missile manufacturer and a member of the US Marine Corps Reserve. All of these experiences have helped Bailey be successful in his current profession as an extra-board operator for SamTrans. Hospital corpsmen work in a variety of capacities and locations and are often the only medical caregivers available. They also serve as battlefield corpsmen with the Marine Corps. From the chaos of war and the heat of the tropical jungle, Baily landed at Brunswick Naval Air Station in Northern Maine, where “20 below and blowing” was the norm. From there he was able to catch a ride on antisubmarine aircraft or “sub-chasers” and come home for weekend visits. He also tagged along on training missions to Spain, England and Iceland. Then it was on to Florida where he worked in a dispensary, an optometry clinic and a minor surgery clinic, and pulled emergency room duty. He also accompanied National Guard troops on training missions. “When they were in the field I had to go with them because that’s the corpsman job,” said Bailey. In spite of his wide range of experience and depth of knowledge, Bailey was disappointed to find that he would need years of additional training to continue his medical career as a civilian. 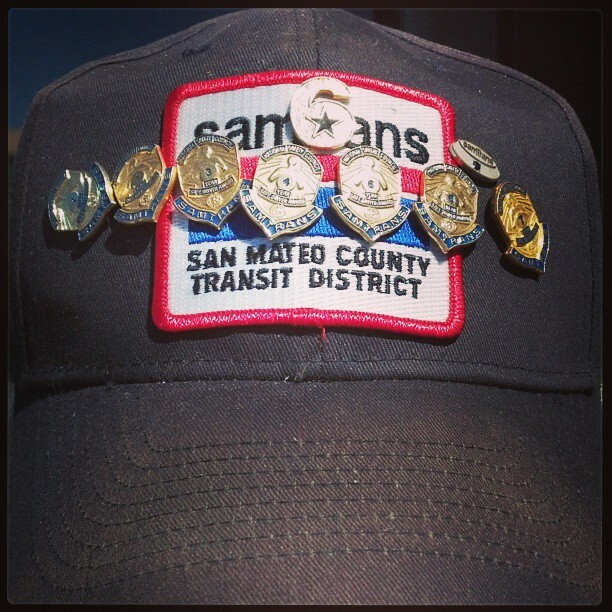 On his SamTrans hat, Bailey wears a ‘6’ pin that signifies to other vets that he’s got their back, or 6 o’clock. Instead, he used the welding skills he learned as a high school student to land a job at Linton Industries, building AMRAM and Patriot defense missiles. “At the same time, I did eight years in the 5th Battalion 14th Marines on Treasure Island,” said Bailey. Even in civilian life there was a need for Bailey’s skills. “Those Marines do stupid things when they go out on maneuvers.” It was the Marines who dubbed Bailey “Doc Beetle” after the popular cartoon character Beetle Bailey. An injury combined with a series of layoffs led Bailey to his third career. In 2002, he became a SamTrans bus operator. As one of the operators who must know every route in the SamTrans system, Bailey particularly enjoys driving Routes 296 and 295, which serve the VA clinic in Menlo Park. Bailey can usually spot a veteran and prides himself on being able to connect with them. “When they find that I was in the Navy, then we are in the brotherhood of veterans,” said Bailey. Today, after a career that took him around the world, Bailey’s work keeps him close to home and close to his wife Trish, who he calls “the love of my life.” Bailey and his wife met in high school, when Bailey was competing in the pole vault at a track meet. “I jumped 13’ 6” and landed at her feet. She always says God threw a boy at her,” laughed Bailey. The couple are the parents of two grown sons.